See On Christmas Night - Notes and On Christmas Night - Sheet Music. Four verses of 4 lines. News of our Saviour King's own birth. 2. Then why should men on earth be so sad? And poor and rich must conquered be. 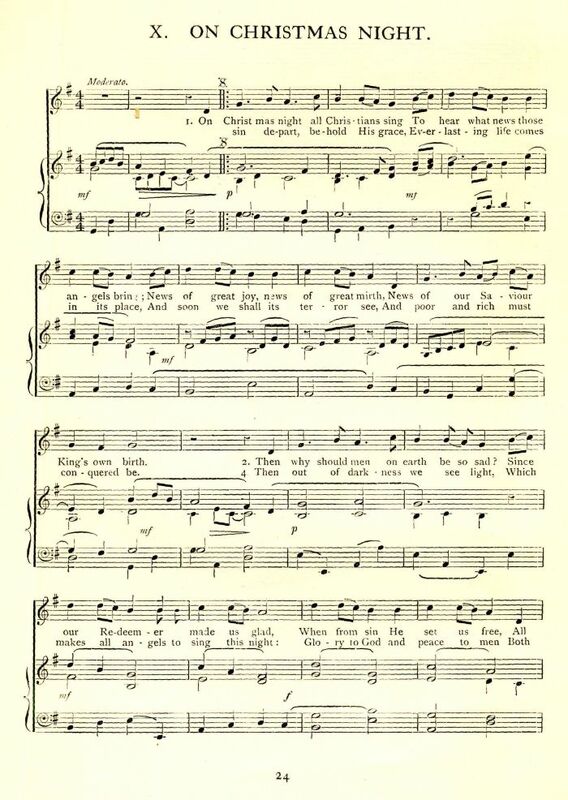 Sung by Mr. William Bayliss of Buckland (Gloucestershire). No alteration has been made in the words. 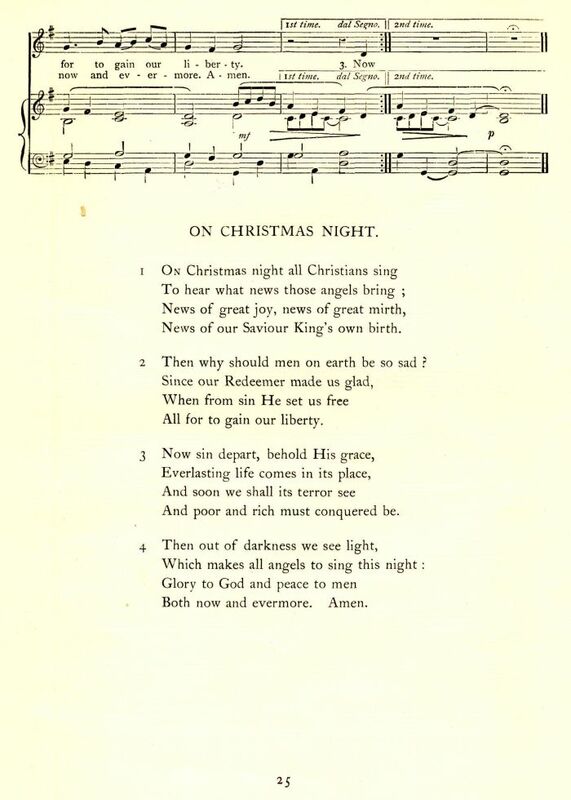 The carol, set to a modern tune, is published in Bramley and Stainer’s collection [On Christmas Night-Bramley and Stainer]; while three traditional versions are printed in The Folk-Song Society’s Journal (II, pp. 126-7). The words are on a broadside by Batchelar; see On Christmas Night - The Batchelar Broadside.